I have been saying that, he did not tell her because he was not allowed to whether he wanted that or not. We kind of are on the same page about this, just virginity mattered and you don't seem to think so. I don't think you were in the UK at University then. I was. I know what I heard then, forget about what I read after the fact. CHarles apparently had a great interest in Anna Wallace who ditched him. SHe had a past but as long as no exes came forward I think they could have married if both were so inclined. Prince Charles's International Prince's Trust launches the Amal Clooney Award for young women achievers. This has been a long time in the planning IMO, and must have involved a huge donation to the Prince's Trust from this couple. They were introduced to Charles by the Sussexes and is the main reason, IMO, that they got prime seats at the wedding. Maybe Charles wanted a nibble from Oprah too in the way of a large donation to the Trust, but so far no luck, I think. 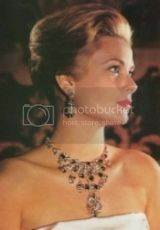 However she did score a seat at the May wedding. The trip to the island paradise is a brief stop of a few hours for the heir to the throne before he flies on to Barbados where the Duchess of Cornwall is waiting, having flown out ahead of the tour's start. Charles and Camilla will also visit St Vincent and the Grenadines, St Kitts and Nevis, Grenada and the Cayman Islands, with the highlight the four-day tour of Cuba beginning on March 24 - the first by members of the monarchy. Poor old Chaz tries to latch on to anything or anyone he thinks might increase his popularity, hence his walking MM down the isle, sucking up to the Clooneys making it a double suckfest as they do the same to Royalty. He tried being the weatherman, then the old duffer grandad. It just doesn’t work and he should understand that the population want a king they can respect and admire nor someone cavorting round like the village idiot. What has happened to his colouring too, a bright red nose and face; is it the expensive claret that gets quaffed or a serious health problem? Whatever, not a good look. ^^I simply cannot warm up to this man. As I expected, Camilla's not going to be around for the entire tour. I don't get the point of Charles' tours, he also tries to play the fun codger for the cameras and is so undignified. His behavior really is an embarrassment. I guess the world regality is not part of his vernacular. He just makes himself look pathetic. Between him and murky the RF's future doesn't look too good. Camilla missed the first day as she went straight to Barbados and not the extra flights to and from St Lucia for Charles' three engagements there. The reason for these tours is to cement relations between the UK and the country and they are undertaken at the request of either the FCO or the country being visited or both. Camilla should have not missed the first day. But she did. Jamaica was the country in the West Indies whose PM was making noises about becoming a republic before Harry's visit, btw, (though nothing's happened since as far as I know) not smaller places like St Kitts, which Charles is now visiting. Jamaica and Barbados have been talking about becoming republics for at least 20 years. Both will do so eventually and unlike Australia they only need to pass the legislation through parliament. The polls show support for the monarchy at well over 50% in both countries which is why the pro-republican politicians won't move on the issue. Not anymore anyway. He lost all sense of regal when he married his mistress. Bathing suit shots of Charles. Odd looking trunks. I could have done without seeing "cheesecake" photos of Charles. Yikes. OMG! I would have lived the rest of my life without seeing those pictures!! Cams is looking old, put out and cranky in most of the pictures. Charles isn'thappy that the beach pictures got publihed. Richard Kay calling Charles buff was downright creepy. 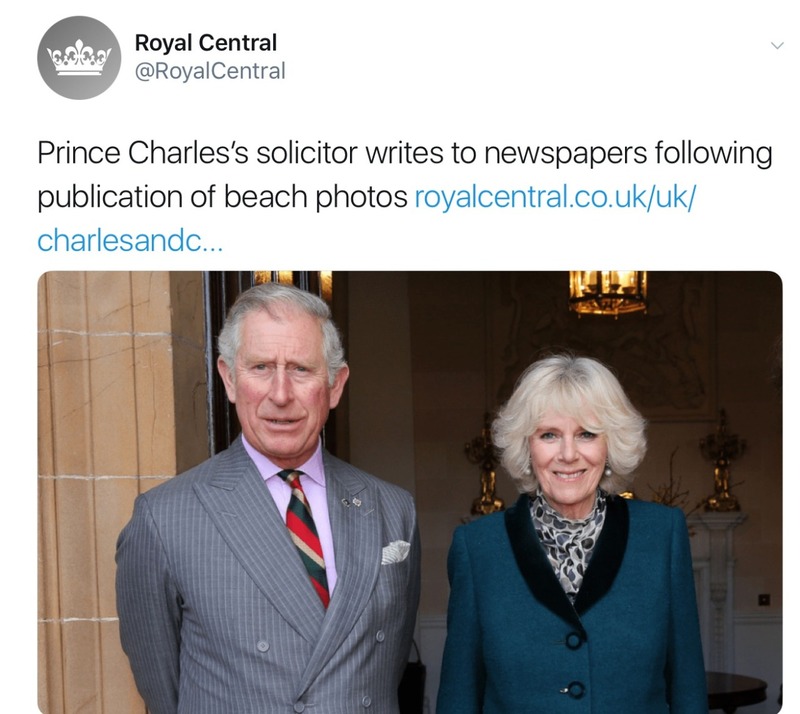 Aren't there places with indoor swimming pools and private beaches if Charles wanted privacy. Camilla’s hair looks like she colored it herself with a box of Clairol. All one color, without highlights, lowlights, dimension, or shine. Charles needs to shave the white chest hair. And get bathing suits that don't have flowers on them. Yikes. I hope no other of these "cheesecake" photos surface.